Overvalue? Ridiculous claim by analysts..
hahahahaha where those wanna buy at 4? 3? 2? buy1 free1? aiyo probably hv to run to atm to withdraw more than expected. I say it again. Harta is not for speculators. No one, not even experts can time the markets. So do your own homework, observe the management's integrity, be disciplined, invest gradually, time will tell. Good luck everyone. Big ang pau from Harta and Vitrox..... yahoo. today quarter report will come out..if no good, all will go holland..
Harta Qtr result is promising, everything on track due to rise in glove sales volume, demand vs supply still in shortage. With coming plant 5 & 6 full swing in 2019 + gaining momentum of new pattern gloves sales, will further improve its future growth of 30% more in term of glove capacity growth by end 2019. This counter is for medium to long term investor for multi baggar return with good sustainability business growth gain. Who work for EPF here? Why PE 37.73 acceptable? There are 900+ ctrs in Bursa why EPF support for Harta not the rest? This is a well-run company that has delivered in terms of both the revenue and profit growth. Revenue grew from only RM572mil in FY10 to RM2.8bil in the 12m ending Dec 18 which represent an average growth rate of almost 20% per year. The profit to shareholders grew from RM143mil to RM482mil in the same period. This translate to an average profit growth of almost 15% per annum. I don’t think anyone can deny the management capabilities in delivering growth. But the issue with Hartalega is actually on it very rich valuation. 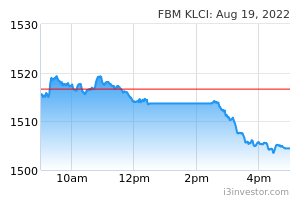 Based on the 12 m trailing profit of RM482mil, at the current price the company is being valued at around 38x PE. At this high valuation, most of the growth prospects has already been baked into the share price. Any slowdown of profit growth will highly likely affect its share price to the downside. 1)	Hartalega: Additional 12.1bil capacity from projects of Plant 5, 6, and 7. Capacity to rise from 32.5bil to 44.6bil (37% increase). 2)	Top Glove: Additional 19.6bil capacity from facilities expansion of F32, F33, F40, F8A (in Thailand), F42 (Vietnam) and the new plant in Turkey. Capacity to increase from 55.7bil to 75.3bil (35% increase). This brings a total of 40.7bil new capacity from the top 4 gloves producers of which 20bil will come in 2019 with the rest in 2020. Hence why some analysts are worried of a potential oversupply in the gloves market in the near future. Big companies like Hartalega would potentially be able to fill in their new capacity with demands but it will be at the expense of profit margin. The average profit forecast in FY20 for the 5 different analysts is around RM600mil which means Hartalega is already being valued a lofty valuation of 30.5x fwd PE. Please go through the analyst reports and do your own analysis before making any decisions. There are 8 analysts in total covering the stock with most of them having a TP of above RM3 (all have a buy rating). The average TP for the 8 analysts is around RM3.50. Safer to enter if price below 4.50. Don't catch the falling knife! At a certain price, it is overvalued, at another it is fair, and yet at another (lower) price, it is undervalued. By the way, I never believe in the falling knife analogy. It is just counter productive. Falling prices should excite you. Cost increases, over supply and market competition will cap its valuation. At what price is considered undervalued? Glove maker Hartalega Holdings Bhd saw its share price hit a 52-week low of RM4.92 on Jan 10, brought about by the strengthening of the ringgit, firmer crude oil prices and investors reducing their exposure after a good run, which lasted more than two years. Since then, the counter has gained almost 10% or 55 sen, closing at RM5.47 last Wednesday. Hartalega’s trading volume has been relatively high as well, buoyed by the Employees Provident Fund (EPF) trading the glove maker’s shares. During the week in review, the EPF acquired 12.17 million shares or a 0.36% stake in Hartalega, nudging its holding up to 211.21 million shares or 6.34%. Last November, the EPF had a 6.17% stake or 205.31 million shares, which would indicate that the retirement savings fund has been a net buyer. No more long term ? Or we should take ROE only? Because DPS will draw out from ROE anyway and the remaining would be added to NAPS.